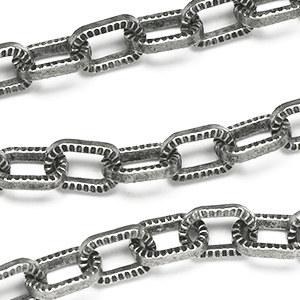 This 5x8mm Techy Square Wire Chain has a nice mix of textured and smooth surfaces on each link. Made of square wire with texture stamped on half of the link while the outside edge remains smooth. Made with a heavy gauge wire. 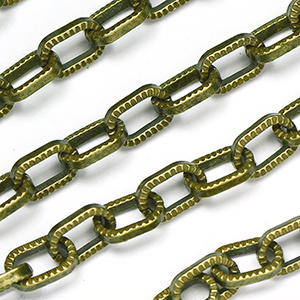 Links are open - not soldered closed - which is great for making direct attachments, but the wire size lets it keep its strength. 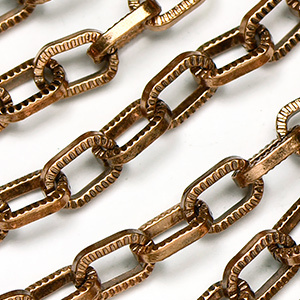 This chain is sold and priced per foot. 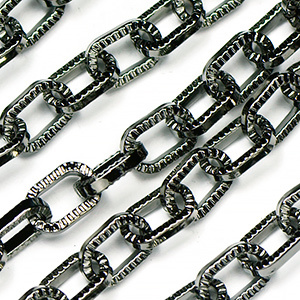 We ship the longest sections with as few pieces as possible, but we can not guarantee one long continuous length.